Welcome to Time Out Singapore's 52 Weeks of #ExcitingSG – our commitment to showing you the best of what's going on in the city this week. Every Monday, a guest writer who's "in" with the scene shares a recommendation on what to see, eat, do or buy in the city. 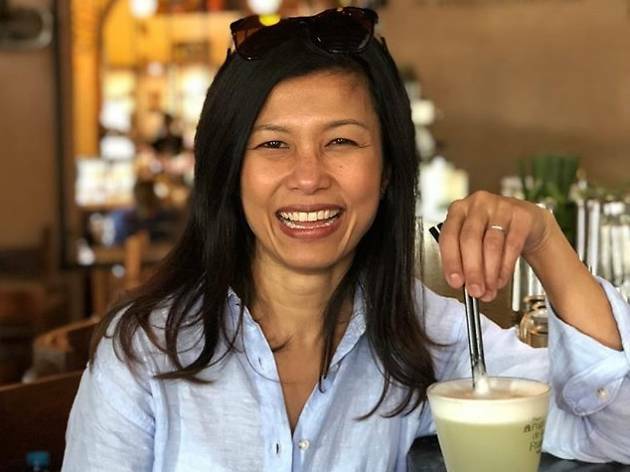 This week we speak to Audra Morrice, a judge on MasterChef Singapore, which crowned its winner yesterday as well as caterer and author of My Kitchen Your Table. 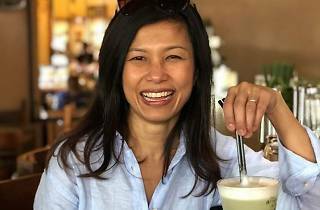 We find out what went on behind the scenes at the MasterChef kitchen and learn more about her thoughts on Singapore's culinary scene. The single most unique thing about Singapore is its multiculturalism that’s expressed through its cuisines. Unlike most other countries, Singapore doesn’t just have one cuisine. Traditionally, there are four cuisines based on each culture, even within those groups there are dishes that reflect different subcultures. I grew up in Singapore and was influenced not only by my own heritage but of my friends' as well. What’s even more exciting today is that everyone has been setting up shop in Singapore, resulting in a real melting pot of international flavours. Descend on this small island and you get access to the world. What is Singapore cuisine to you? Anything from Maxwell Road Hawker Centre's roti prata and Malcolm Lee’s divine Peranakan food at Candlenut to Dave Pynt’s modern Australian barbecue at Burnt Ends and the finely crafted Cantonese cuisine at Wah Lok Cantonese Restaurant. Then there's the glorious nasi pandang at Sabar Menanti at Kampong Glam and so on. It’s totally international yet local. You've been a judge on both Masterchef Asia and Singapore, how do the two compare? Why compare when you have literally experienced the best of Asia. Honestly, they were very different and I really appreciate having been apart of both. In saying that, MasterChef Singapore really struck a chord with me and got me quite emotional, maybe because I’m Singaporean. I don’t really know. I had an incredible connection with the contestants and what they represented and brought to the table. I suppose in some ways, Singaporeans have an eating out culture and a show like this really brings out the kitchen nerd in myself. Also, we are still very Asian in many ways, following the paths we think we should follow, doing the right thing by our parents as far as our careers are concerned. It’s a big deal to put yourself out there and follow your dream. I can only imagine what it would have been like 20 something years ago to tell my parents that I wanted to follow my dream. You can imagine how that conversation would’ve ended. However, times have changed. Shows like MasterChef allow people to do just that now. People can make a living out of their creativity, so long as they know how. How was it like working with Bjorn Shen and Damian D'Silva? Any funny stories to share? I absolutely love these two men. We laughed on a daily basis so have a very healthy relationship. They are funny yet serious at the same time. Damian is a walking storyteller. Most days he would come in and tell us a joke he’d read online or a story from his childhood. However, on a deeper level, he has experienced life and he tells it as it is. He has a wealth of knowledge and when talks, you listen. I have the utmost respect for him. Bjorn just cracks me up all the time but he is also very grounded and we have deep and meaningful conversations quite often. The three of us are entrepreneurs; we run very different businesses but experience challenges like every other business. To be able to share and chew the fat is a real luxury. At the crux of it all, we are genuine decent folks who are keen to share our knowledge and experience and ignite the fire in people’s bellies! What's been the most memorable part of filming MasterChef Singapore? For me, it’s the entire process. It’s being a part of making people realise that they can achieve anything they want so long as they set their mind and hearts to it. The smiles on peoples’ faces when their dish receives great remarks, it’s like they’ve struck the lottery and the self-validation you provide as a judge is priceless for them. I know because I’ve been there. Where do you like to eat when you're in Singapore? I take turns to go to different places whenever I’m back in Singapore and often like trying new places. Some of my favourites include dosas at Woodlands Madras Indian Vegetarian on Upper Dickson Road, ang ku kueh at Poh Cheu at Alexandria Village or Ji Xiang at Cantonment Road, nonya kuehs from Glory in Joo Chiat if I’m in the area or Harriann’s at Tiong Bahru as well as Daily Scoop ice cream, nothing beats it in Singapore and my go-to flavour is its Coconut Surprise. Then again, it's a tough choice if its mao shan wang durian ice cream is available. What are you excited for this week? ThI’m cooking with Malcolm and his team at Candlenut this Wednesday, October 24. It’s the coming together of two passionate cooks who revel in heritage and delicious food! So definitely one feast not to be missed. We have over 14 dishes on the set menu that you will absolutely love! I’m also doing a couple of early runs to my old secondary school CHIJ to speak to the girls. It’s really about empowering these girls and igniting fires in their bellies to create their own paths in life, one that they are truly passionate about. I’m really excited about that. At the end of the day, they are our future and of utmost importance.